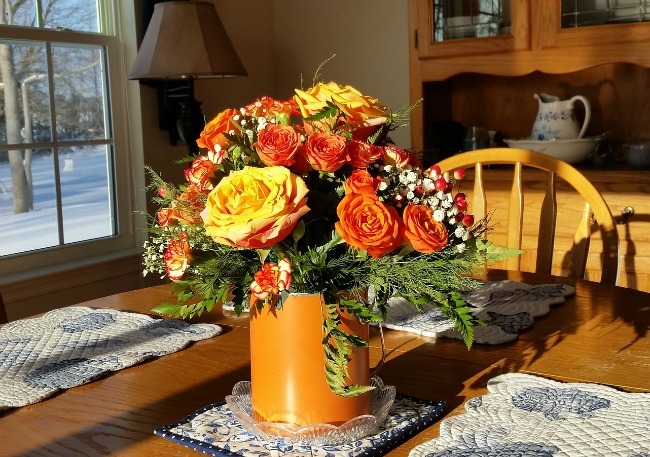 I love fresh flowers, they brighten up a home. 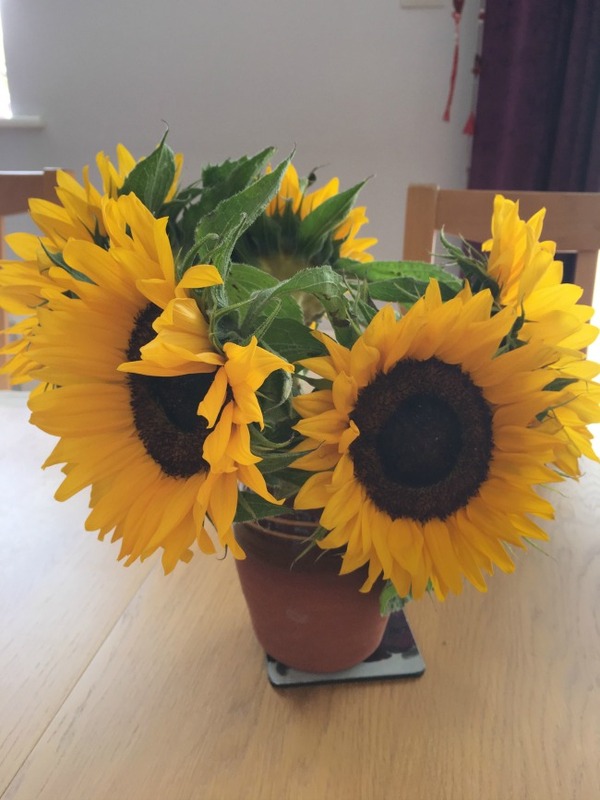 We are not all florists (and I am completely rubbish at arranging flowers) so how can we use flowers in the home? 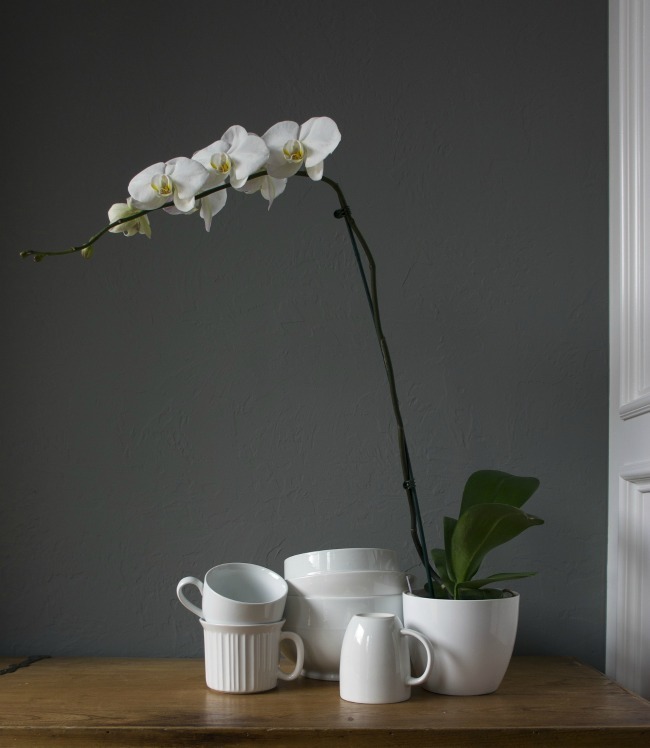 Choosing the correct vase or container is important for a good display. 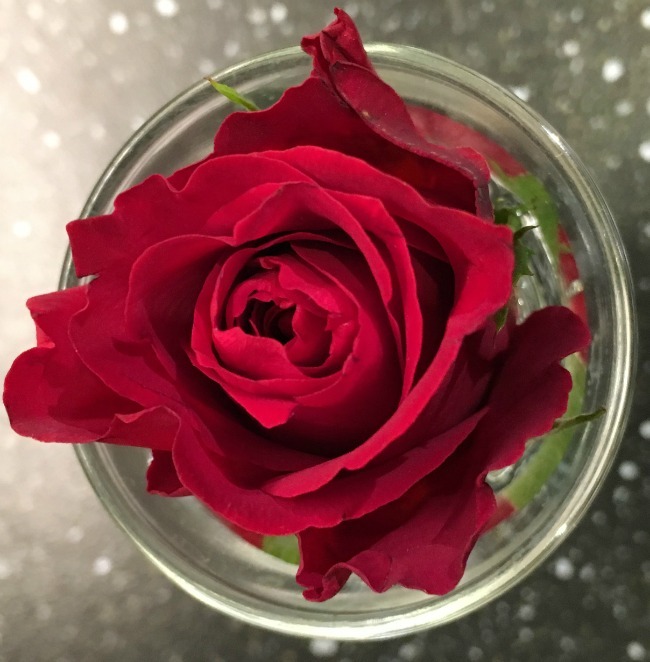 It is better to cut flowers shorter and fill a small vase than to have just one or two blooms looking lost in a big vase. Formal arrangements are best in tall, elegant glass vases whilst sunflowers and cottage garden flowers suit a more rustic container, maybe a jug or jam jar. If you are looking for a centre piece for an afternoon tea then use a pretty teacup and saucer, or a teapot to hold the flowers. Before you choose the flowers decide where you want to display them. Match the flowers to the situation. A small display, no higher than a few inches, is best for a table where you all have meals. You do not want to be trying to look around a huge, beautiful bouquet to see the other person. Also, if you have a large room, a small posy in the corner will disappear. Do not hide the flowers in a dark corner, place them on a table in the light. Be careful about putting flowers near fires or radiators as the heat will make them go over more quickly. 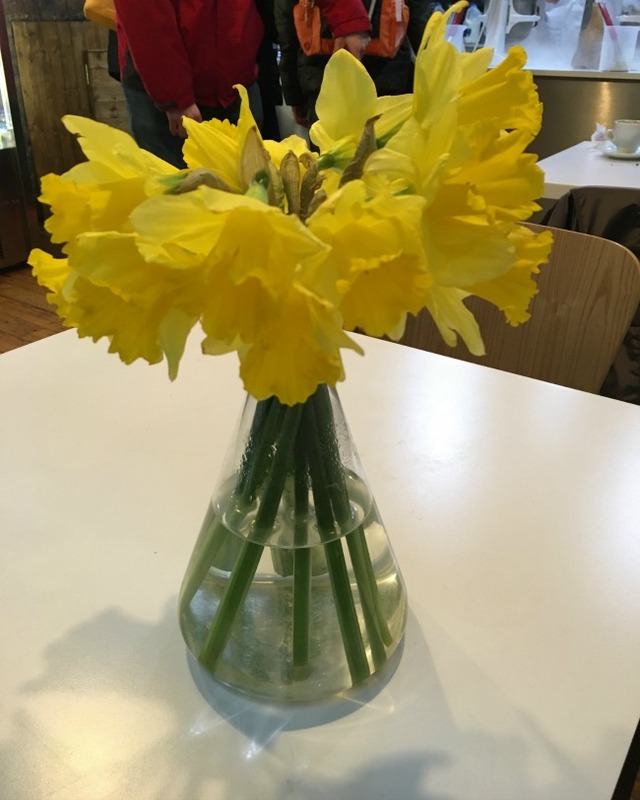 Fresh flowers are wonderful, they add scent and brighten up even the dullest room. Buying a ready made bouquet takes away the need to choose the correct combination and arrange them yourself. Do remember to follow the instructions that come with them, feeding as described and do not allow them to dry out. If you are lucky to have a garden then choose pastels or flowers that are all the same colour, all blues, or reds for example. Just putting them together in a vase will look wonderful. If not, then buy bunches of one type of flower from the supermarket. Daffodils, sunflowers, roses, tulips all make easy and lovely displays. One flower head of a hydrangea is like a bouquet all on it's own. I have a scrub in my garden and for about three months of the year I can just cut one and it will fill a vase. Sweet peas will add scent and look beautiful just placed in a tall, waisted vase. For a longer lasting display choose flowering potted plants. These are often less expensive than bouquets and if cared for can give weeks of pleasure. It is best to think of them as just that, a longer way to display fresh flowers as many potted plants are forced by nurseries and it is difficult to get them to flower again once the original blooms are gone. Orchids are easy to care for and will flower for weeks on end. If you'd like something that won't die on you then you don't have to go artificial, go floral. Choose a floral wallpaper, or bedding. Use floral fabrics for your cushion covers. 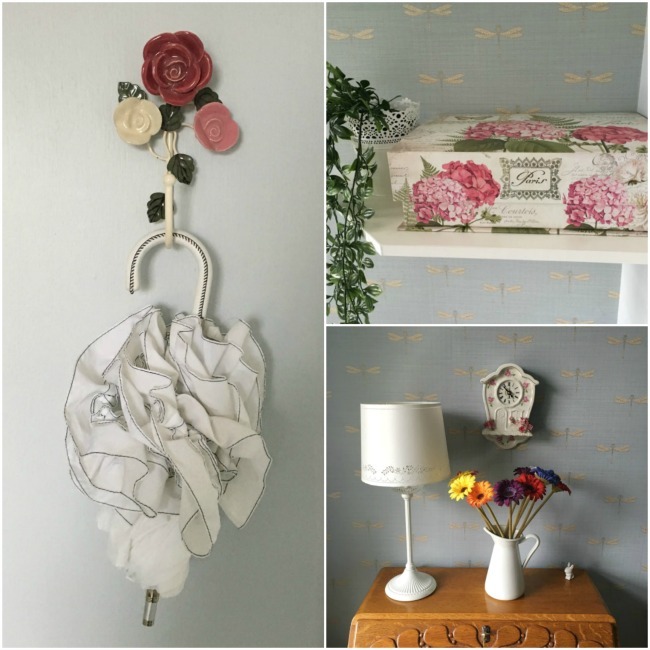 Florals look wonderful on accessories including clocks and boxes. If your room is plain, then go bold with the floral accessories. You want them to stand out not disappear. 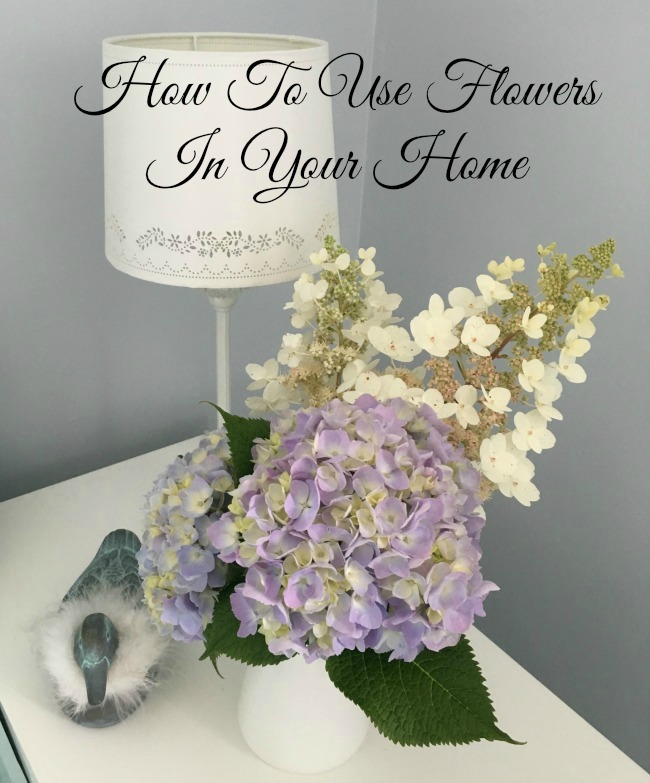 Do you have any tips on using flowers in the home? I'd love to read them in the comments. I am rubbish at arranging flowers too but I am getting better. How beautiful and amazing these flowers look, plus the decoration idea you have given is super amazing and nice too, the best way to decorate your houses.